Committed to improving the health of children for over 70 years, Nemours Children’s Health System is one of the nation’s largest integrated health systems. Nemours selected HID Global to deploy strong authentication solutions enabling Electronic Prescriptions for Controlled Substances (EPCS) to enhance their processes and patient experience. Nemours Children’s Health System existing paper-based prescribing solution was extremely inconvenient for physicians, and created a negative patient experience by increasing pharmacy wait times. The manual system prevented physicians from being able to issue a prescription to patients during Telemedicine sessions – an otherwise efficient and real-time means for care delivery. It also was burdened by the ongoing cost of expensive paper and secure record storage, and how difficult and time-consuming it was to use it when conducting investigations, as needed. By implementing a new EPCS solution, Nemours planned to increase overall productivity while improving the patient experience. The new solution would eliminate the need to obtain a paper-based prescription and reducing pharmacy wait times. Its implementation would require instituting policies, procedures and new workflows into their prescribing framework, as part of a DEA-compliant system with two-factor authentication that would ensure physicians no longer had to find, sign and mail prescriptions. Instead, they could take care of everything electronically from inside the exam room, as part of an easy-to-use system that improved the prescribing experience for doctors and patients alike. The hospital has reported significant improvements in physicians’ prescribing experience now that they can quickly and simply authenticate to a system for writing on-line narcotic prescriptions, in full regulatory compliance. 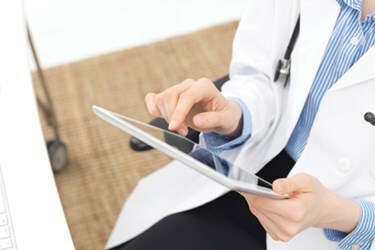 Dozens of doctors are using the new EPCS process, which also makes it possible to digitally monitor and track prescriptions to eliminate paper and storage costs. They can prescribe from any location, whether at work or home, and easily send prescriptions in the evenings, after hours and on weekends. The patient experience is also better. They spend less time waiting at the pharmacy for new prescriptions and refills now that they can be sent ahead for fulfillment, prior to their arrival. In most cases, prescriptions can be filled in the same day – a savings of at least two to three days as compared to the earlier paper-based prescribing model. Meanwhile, both physicians and their patients have the confidence that prescriptions are going directly to the pharmacy without the previous risk of theft or loss when they were mailed.